Located at City Golf Plaza in Ortigas City, Isla Una is a place where you can be yourself and feel the comforts of home. It offers authentic Filipino food coming from secret family recipes passed on through generations. It lets you experience ultimate Filipino delights from different regions across the country. On its menu, you will find familiar Filipino dishes and as I found out, they are cooked to perfection. 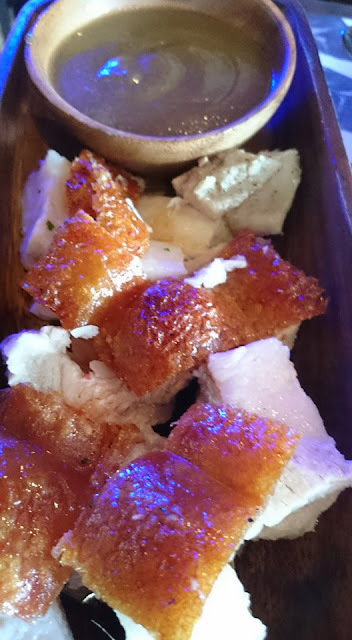 The recommended ones are the Crispy Pata and Lechon Belly as you won’t be able to resist the crispiness of the two. Both of them also have delicious fall-off meat that will make you come back for more. 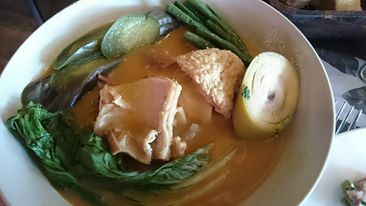 They also have their own version of Kare-Kare topped with ox shank, ox tripe and vegetables in creamy peanut sauce. It is one of my all-time favorite Filipino dishes that was made even better. I thought I saw the chef at one point as I wanted to compliment him on the good food. 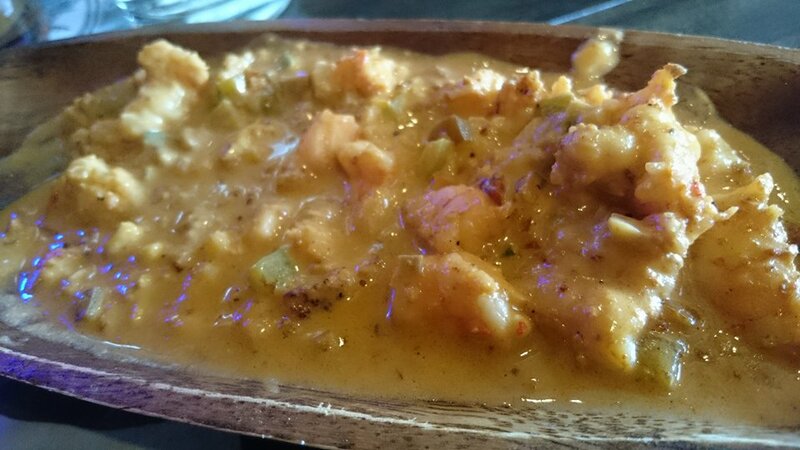 The best seafood dish is without a doubt the Prawn Aligue. On the plate is a considerable amount of prawns cooked in smothering Aligue sauce that will never fail to make you give it a thumbs up after every bite. Moving on, Kampukan is perfect for those who want an exotic experience. The unique dish is a mixture of grilled pork belly, onions, green chilis, black pepper, and a heartfelt combination of secret spices that give its surprisingly distinctive flavor. The restaurant has three floors and each floor has a different theme with matching music and interiors. The ground floor has the right happy interior perfect for lunch meetings, family reunions and get-togethers. The second floor is a more intimate place with a darker tone and a television screen that shows live sporting games. It is perfect for those who want to unwind after a long day's work. Finally, the roof deck is the best place to be for romantic dinners as it gives a nice view of the Ortigas Skyline. No matter what the occasion may be, Isla Una is definitely the perfect place to eat at. This is such a great Filipino restaurant with good ambiance.